This video has been circulating around the internet on fancy blogs and such for a while so I thought I’d feature it here too but with a twist. I love almost all of Wes Anderson’s films and objectively he has to be on any list of the most brilliant directors of this or maybe any generation. This supercut highlights his fondness for symmetry and centered shots which I also love, although I have to say I’m a bit more enamored with the long tracking shots from the dolly. The problem for me lies not in the video itself but in the buzz surrounding it and generally all Wes Anderson films. No one except Wes Anderson ever gets any credit for them. It’s as if he were a one man crew. Now clearly with a director who has such a specific style that is bound to happen, and it’s warranted to a point but specifically with this video and all talk of how Wes Anderson’s films are shot one other man needs to always be mentioned and that man is Robert Yeoman. Yeoman has been the head cinematographer for every single one of Wes Anderson’s live action films as well as the brilliant Squid & Whale and many others from various directors. He’s a member of the American Society of Cinematographers and has won an Independent Spirit Award for Best Cinematography. So you can bet that he has quite a large influence on how Anderson’s stories get told on screen; he doesn’t simply point the camera where Wes tells him to before hitting record like you would think from his lack of name recognition. In the interview below, Yeoman talks about his recent collaborations with Wes Anderson as well as some films that inspired him pursue his craft and his preference for 16mm. The Grand Budapest Hotel is a great film and if you weren’t able to catch it in theaters, it just came out on blu-ray. Just remember when watching, yes, it is Wes Anderson’s vision but there’s only so much vision can do. At some point, someone has to step up and move the camera and Robert Yeoman is the humble man who gets up to do just that, every single time. Indie Game: The Movie is just as nerdy as it sounds but also a surprisingly accessible documentary that you’ll find engaging no matter your station or vocation in life. The film follows two teams of independent video game developers as they risk everything, including their sanity, to complete the games they started years before. It’s fascinating to watch these artists create what they feel is their primary form of expressing who they are and interacting with the world at large. In actuality the film is a character study of several individuals heavily invested in a subculture that is growing in size but still has relatively few intimate narratives about it’s cultivators on display for the general public. And in that sense, it’s a movie that needed to be made. 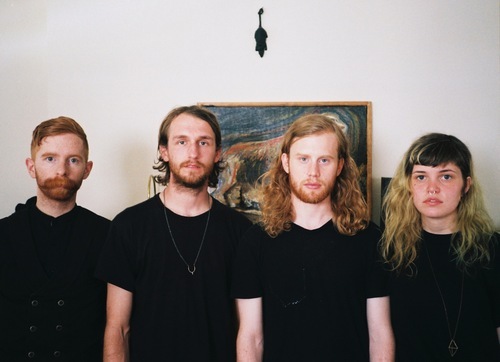 Saintseneca is a band who sounds like they just sprung up from the ground; from that rich americana soil that brings forth such hearty and humble flora, that earth that gives us songwritters who can make us feel both their pain and elation as if it were our own. On Dark Arc, Saintseneca has given voice to the contemplative soul in the throes of young adulthood. It’s an album filled with hindsight and a keen sense of observation concerning ones own recent past. But it balances its introspectiveness with an ability to pull back and gleam some of the broader truths of life, often in neighboring stanzas. Musically, it unfolds as a cohesive, organic romp, projecting in turns a sense of calm and desperation. Having seen the band play live at the Mercury Lounge in NYC and having talked to them afterwards, I was happy to find that the sincerity of their art is a consequence of the genuineness of their person. These are people we should support. Here are some artists we’ve featured before that have since released new music we think you should know about. We have full streams of their latest albums here for your convenience! Scott Hansen’s genius continues to provide the soundtrack to your west coast driving fantasies, now channeled through a legitimate three piece band. 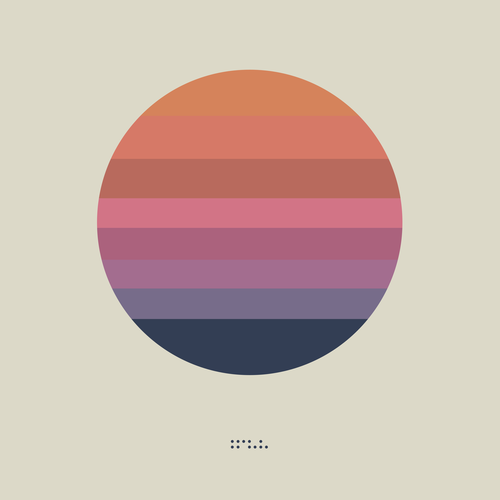 Certainly a proper evolution of Tycho’s last album, Dive, Awake feels a little short but the quality is unmistakable and I’ll take that over filler ambient tracks any day. Eschewing his last album’s heavily acoustic instrumentals, Prop brings in some quality electronic bleeps and blips here. One thing he hasn’t changed is his thought provoking lyrics featuring content that’s anything but typical for hip hop. The Red Balloon is a classic short film from France that is more than worth your time. Why is it a classic? I can’t give you an exact answer on that but my best hypothesis is that it has a truely universal appeal and an ending that is one of the most memorable in all of film history. The plot goes: a boy finds a magical red balloon and whimsy ensues. Sounds like a good setup for a children’s storybook (it actually is one now) and the film really does play out like that but, as kids are apt to do, the interactions between the characters reveal some underlying truth about human nature. You can watch it here in it’s entirety for free. I don’t think there’s a single more universally loved character in the two keys group than Michelle Marie Keating. Danielle McKinney and I found her like a diamond in the rough one night at a local bar/venue about a year ago. We came to see another band and walked away with an incredible friend. Over the following few months, as life brought it’s usual unexpected changes, Michelle would write these little gems of songs and play them for us when we plead with her to at some of the earliest gatherings of two keys people. 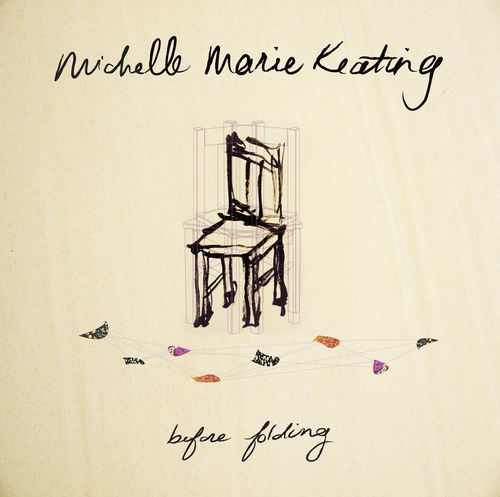 This lead to the first firm plans for a solo EP for Michelle, the EP we are releasing now titled Before Folding. If I had to describe this collection in a word I would say these songs are transitional. They frame a period of life filled with longing, ruminations on former loves, and ultimately a sense of peace about past experiences. Michelle’s voice is dynamic, playful, and, most importantly, powerful in a way that it can persuade a listener’s heart into feeling the raw emotive force behind even seemingly simple lines. I’m happy to say that this EP came about through a true family effort here at two keys. Danielle McKinney did a fabulous job with all of the art including a wonderful little booklet that comes with your download of the album. I had the honor of producing, mixing, and chiming in musically every once in a while. Oliver and Company frontman and the co-conspiritor for our Diplopia Split EP project, Phillip Oliver assisted in mixing. Long time friend of the press, Jordan Walker played drums and mixed them expertly as well as offered some grand feedback and troubleshooting tips with the whole mixing process. And finally, our new friend, Gino Capone took on all the mastering duties and assisted greatly with the mixing itself. 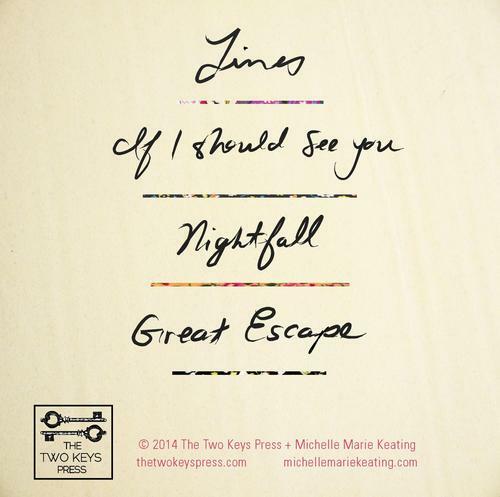 I can’t think of a project or person more dear to all of our hearts at The Two Keys Press than Before Folding and Michelle Marie Keating. So much of what we believe in is encompassed in this project. Kind, talented people putting out genuine art with an incredible DIY work ethic simply to make the world a more beautiful place. On behalf of all of us here at The Two Keys Press, I’d like to say that nothing would make us happier than if you took a few minutes to listen to this EP and if you really like what you hear, consider purchasing it for yourself! 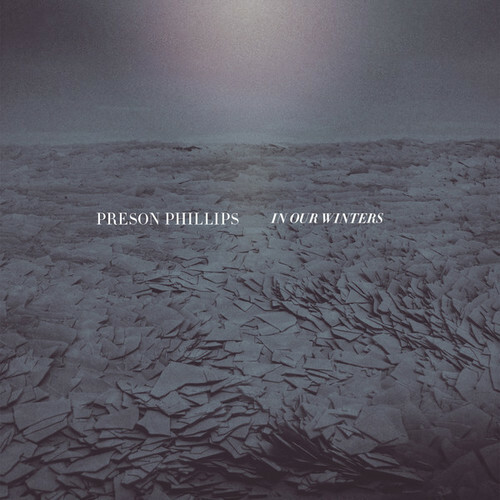 Driving down a winding highway in the rural south is probably the best time to press play on the new Preson Phillips album, In Our Winters. Luckily for me, I had the opportunity to do just that driving back home from New York City. As soon as that reverb laden vocal chant, familiar folky acoustic guitar, and well timed percussion comes in on the opening track, “Wayfaring Stranger”, you know you’re in for worship session fit for the Blue Ridge Mountains. 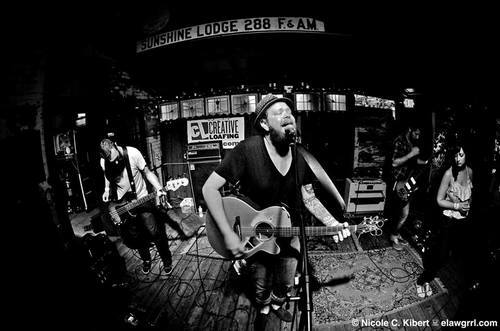 What follows that energetic cover are several pristine original songs (“Open Seas”, “Come Down Father”, and “Lift up the Gates”) that drive like an Americana fueled freight train across timeless and universally resonating tracks. They are at once unique and accessible. Structurally efficient and satisfying. Emotionally moving and uncompromisingly cerebral. It may come as a surprise when the middle most tracks on the record shift the album into something a little more contemporary as melodic electric guitars take over for the twangy acoustics from the first four songs. Perhaps an association could be made with the thematic move into thoughts on resurrection that takes place concurrently. Eventually though, the album circles back to its endearing folk roots delivering “Lamb of God” which is probably one of the most excellently constructed narrative songs ever written about the life of Christ. Here, Phillips manages to perfectly balance a personal, physical experience of Christ as a man with the metaphysical and philosophical consequence of his life. It is simultaneously tangible and transcendent. 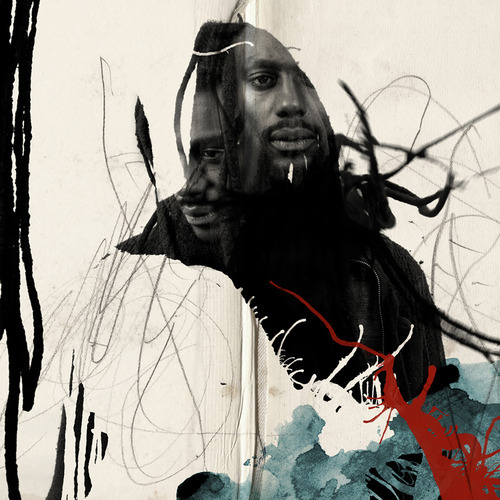 The back half of the album contains a song titled, “Behold the Architect” which eloquently describes the power of a transformative type of love and could easily become a favorite of the band’s entire catalog. Many artists automatically tout their latest release as their best work but in this case it’s actually true; Tommy Phillips has never released a more consistently powerful and well crafted collection of songs. While I had some subjective qualms with how this record was produced, the actual songwriting is generally superb. I think you’d be hard pressed to find another worship album with more quality lyrical content and song structure. If you do, let me know because I haven’t yet. Oh nostalgia. It seems to swirl ironically or uselessly through the breadth of the independent sub-culture in this country. But every once in a while it proves fruitful. Case and point: a band named Anamanaguchi has been constructing whimsical 8-bit electro power pop tunes from their home in Brooklyn for the past several years. Originally, their engineering like methodology had them plucking samples from retro games and playing them back via a modified NES on stage. While they’ve grown a little more electronically efficient (read: holographic cubes and LSD worthy video loops at live shows) their youthful exuberance still works itself into something quite unique. Their latest effort, Endless Fantasy, reveals a band producing the highest quality music in a niche genre that can be at times uncomfortably nerdy and delightfully accessible. But perhaps my favorite thing to come out of this kickstarted LP is this music video for “Meow”. It’s utter ridiculousness amplified by stellar production quality. You can check out a few more good tracks from Endless Fantasy below and plunge deeper into the wormhole of 8-bit music by visiting their seizure inducing website. Lily & Madeleine are two normal teenage girls from the midwest except that they play a type of graceful folk music laced with harmonies so beautiful you’ll want to melt into whatever armchair you’re currently sitting in. Their first EP, The Weight of the Globe, gave us a taste of the raw spell casting power these sisters had back in early 2013 but their full length self-titled that came later that year gave proof that they possess a certain songwriting wisdom that is far beyond their years. It’s a somewhat simple set of songs, by all means the most conservative thing on the Asthmatic Kitty roster, but there’s no ironic appeal here. These sisters have tapped into something genuine and for those of us who are older and jaded by comparison (which would be nearly everyone) it is delightfully refreshing. This Tiny Desk Concert from NPR is wonderful but you can also listen to their entire full length on their bandcamp here. If you consider yourself to be a photographer and you haven’t heard of Aperture, you have some homework to do. Aperture Foundation was started in the 1950’s by a prolific group of photographers like Ansel Adams and Dorothea Lange who saw the need for a forum where serious discussions about the relatively young art could take place. Back then, there were a whole lot of people who straight up didn’t respect photographers. Many saw them as wannabes, people who weren’t good enough to be painters. Or they saw them as documentarians, purely mechanical and practical. They were seen as anything but the fine artists they really were (the good ones anyway). Well, let’s fast forward over half a century and the public’s perception has largely changed; the art world’s perception has done a 180 and who do we have to thank? Probably, at least in part, a not for profit organization who has been encouraging critical thinking about photography for over 60 years. A group of artists who were underdogs in a lot of ways. Sure, we see them now as giants in line with mainstream photographic ideas but the truth is they were a bunch of mostly young people who shaped the artistic landscape they inhabited by standing up for their convictions about a controversial medium. The story of Aperture is inspirational and the spirit of the thing strikes a harmonious chord in the hearts of those of us at The Two Keys Press. The saying goes that “everyone deserves a second chance”, but is that also true for albums? Typically, I would say no but every once in a while a record comes along that makes me question how I listen to music. 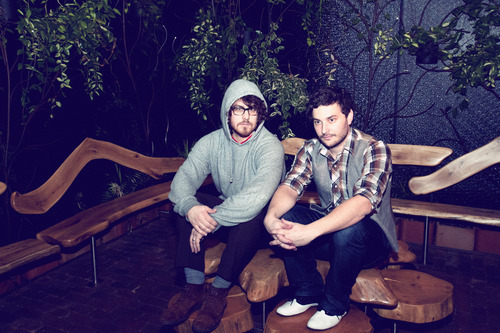 Dale Earnhardt Jr. Jr.’s second LP, The Speed of Things, has been one of those records for me. Originally seeing the band open up for Sleigh Bells in Detroit back in 2010, I was impressed and happy to see they were worthy of the small buzz that was building for them around that time. Shortly after, when they released their first LP, It’s a Corporate World, I was geneuinly enamored with their playful yet thoughtful brand of smart, satirical electro pop. I loved how they straddled the line between indie rock scenesters and too cool for everything Pitchfork readers. The first single to be released from The Speed of Things was “If You Didn’t See Me (Then You Weren’t On The Dancefloor)”. The song is appropriately catchy and a satisfying progression from their first album. So upon listening to the entire new album I was surprised to find it less accessible for some reason; it was more difficult to follow. But there was still something intriguing about it. I think the sounds themselves, isolated, were really attractive to me even if I couldn’t make sense of them at first; that combined with a disbelief that the band who made their previous LP could fall so far in form made me give it a 2nd, 3rd, 4th, etc. listen. Still I was still a little unsure of how I felt about it. I uneasily admitted to my friends that I was disappointed with it as a whole. And then, I went on this road trip across the continent. I probably played the record a good five more times on my journey to San Francisco and each time I fell for it a little more until at last, upon returning home I realized I absolutely loved this album, maybe even more than the first. Looking back, my first impressions were most likely due to the record being more intricate in concept and composition than their earlier work. But it is no less catchy. It’s a record that begs to be learned and once you’ve got it down, that’s where the real enjoyment starts. So despite some negative first impressions, I can now wholeheartedly recommend to you, The Speed of Things by Dale Earnhardt Jr. Jr..
Kye Kye is a band that probably isn’t getting as much buzz as they deserve. After a formidable debut album entitled Young Love, the four piece based out of the northwest decided to put out an EP of remixes they did of their own songs. As unheard of as that is, it was brilliant and gave those of us who were paying attention an idea of their excellently electronic trajectory. On their new album, Fantasize, Kye Kye plunges headlong into a synthetic wonderland full of fuzzy swells and eightiesesque drum sounds and the results are largely delightful. Oh and this Samurai love story music video directed by Salomon Ligthelm is nothing to scoff at either. Balance. It’s a hard thing to get to in music and in life. 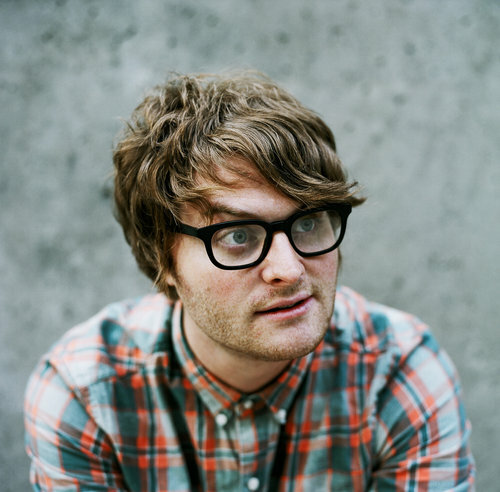 Ultimately, it’s the reason why I like bands like Telekinesis. Energetic indie rock can be a lot of fun but with lackluster lyrics it becomes more of a guilty pleasure than the motivating thing it should be. I like a song I can drive to but also one that can give me a good lecture. Why should we sacrifice brains for braun? Enter Michael Benjamin Lerner, the singular man behind Telekinesis. 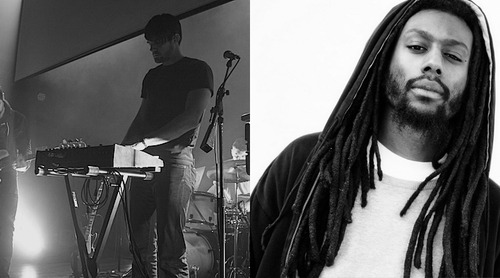 On his latest album, Dormarion, Lerner proves to us that we don’t have to compromise. The driving bass, beefy electric guitars and punchy drums will remind you of your high school days but the lyrics and sincere vocals will be intelligent and earnest enough for your college years. Maybe that’s why it’s a favorite power-pop record around the NPR offices. Go ahead, crack open this whole album like a textbook in your car at 45mph and educate your high school self. The only time you’ll ever find me running is on the now rare occasion that a soccer ball is in front of me. I just find it completely boring otherwise. But I think runners are a different breed. I think they may have a lot going on inside their heads. At least, this short film will make you believe that. The Runners is a sort of series of vignettes of people answering some intimate questions while they, you guessed it, run. The premise doesn’t sound like anything magical, in fact you may say it’s a little gimmicky but if you press play I think you’ll find that Matan Rochlitz and Ivo Gormley have created a surprisingly charming little film. Short of the Week’s winner for Short of the Year as well as an official selection for all kinds of international festivals, The Runners is garnering some good attention but what you should really care about is that this film is sincerely, unapologetically human. Whilst in Nashville on a recent cross country road trip, I was kindly directed to The 5 Spot, a hub of up and coming singer/songwriters and bands in the East Nashville neighborhood of our nation’s storied Music City. And it did not disappoint. 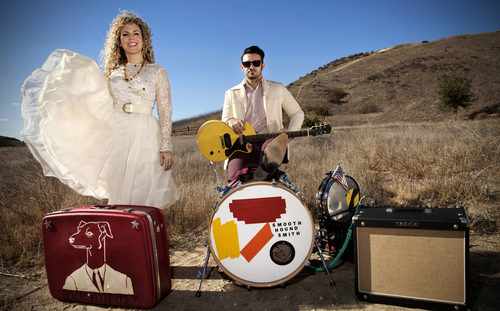 Smooth Hound Smith is a duo originally from California now making their home in Tennessee which makes sense when you listen to their songs. They play in turns blues, folk rock, and bluegrass always flavored with some pop sensibility they’ve brought with them from the west coast. Their performance was a lot more dynamic than your standard duo with Zack Smith showcasing an impressive mastery of his guitar while simultaneously playing various percussive instruments. 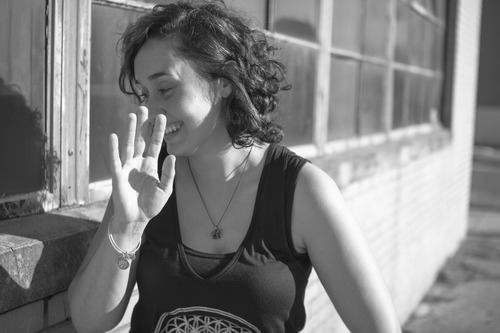 Caitlin Doyle took turns doing harmonies and lead vocals and contributing some percussive elements as well. 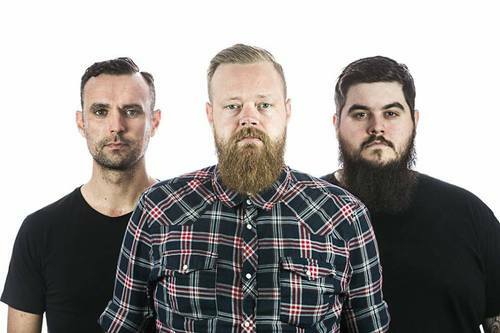 I was impressed enough to pick up their full length on the spot and it shows the kind of humble quality and promise that you’d expect from a band arcing toward the peak of their collaboration. It’s a good trajectory; get in on it early. an art label, a modern day printing press, a collection of artists striving to create beautiful things in a variety of formats. We produce work about life, death, and everything in between.